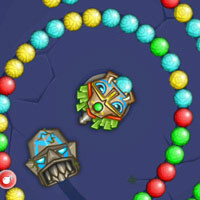 Match three bubble shooter game play online on phone or tablet. Try to stop the moving line of marble balls before they reach the exit point. Shoot balls and combine three or more balls of the same color together to remove them.